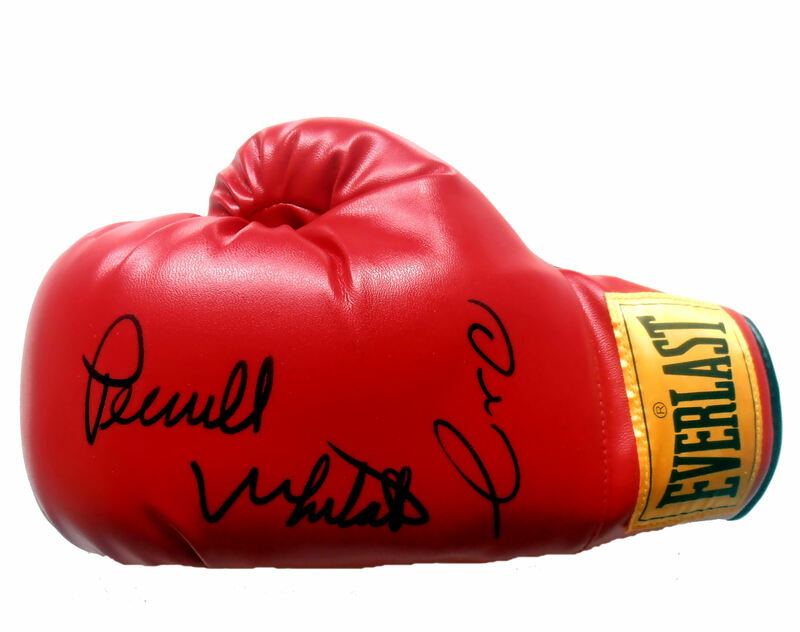 Description : Here we have a fabulous dual signed Oscar De La Hoya & Pernell "Sweatpea" Whitaker 12oz Everlast glove. 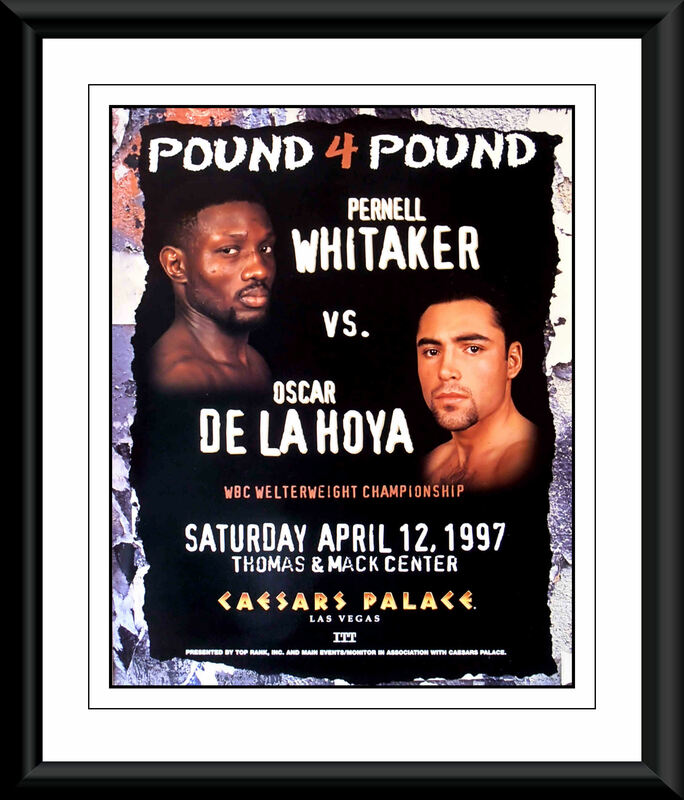 ........ On March 12, 1997, De La Hoya moved up to the welterweight division and fought Pernell Whitaker (40-1-1). The fight proved to be a difficult one. 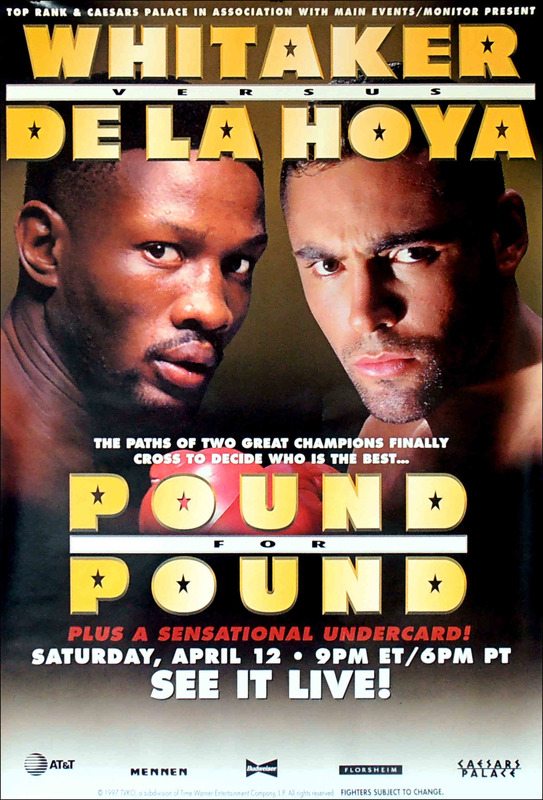 De La Hoya won a disputed twelve round unanimous decision to capture the Lineal and WBC titles. He also became the Ring Magazine's number one ranked pound-for-pound fighter. At the end of the fight, the judges' scores were 111-115, 110-116, 110-116. The fight was a lot closer than what the final scorecards showed, and there were many boxing analysts & sportswriters at ringside who felt that Whitaker actually won the fight. It was another controversial decision against Whitaker, but it wasn't seen as a blatant robbery like the Ramirez or Chavez fights.......This dual signed glove also comes with a COA from Global Authentics juxtaposed with an LOA from KOfightposters.com for lifetime & beyond.